One fish, two fish, red fish, goldfish? One fish, two fish, red fish, blobfish? Think of a fish. What do you see in your mind’s eye? Most of us likely picture something rather flat and oval shaped, with two eyes, one on either side of its head, a tail waving back and forth on the other end, gills opening and closing and mouth doing the same. Fish come in all shapes and sizes, like the newly discovered tiny Indonesian, Paedocypris progenetica measuring less than 1/3 of an inch long, to the colossal whale shark, which can grow up to 41 ½ feet and weigh 47,000 pounds! That’s longer than a school bus and twice as heavy! 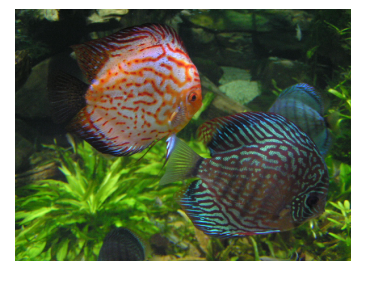 They can be breathtakingly beautiful such as the mandarin-fish or as unbelievably ugly as the blob fish. 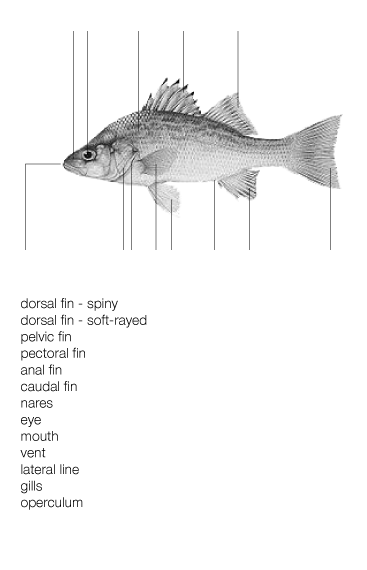 Fish are the most common vertebrate (animal with a skeleton). There are approximately 24,000 known species of fish alive today. Despite all of this variety most fish have some basic things in common. They hold an important place both in evolutionary history and modern ecology. Fish live in water all over the planet. They have evolved to live in both fresh and salt water. Some species live in shallow lakes and streams while others dwell at the depths of the oceans, in complete darkness and under immense pressure. Fish, like you and me are vertebrates (they have a backbone). Unlike you and me, fish use fins to get around. Fins occur either singularly along the center line of the fish, or in pairs on either side. The caudal (tail) fin is used mostly for moving forward, while the other singular fins help keep the fish upright. The paired fins allow the fish to stay in one place, steer, or put on the brakes. In one fish, a very long time ago, the fins pushed the fish up onto land and evolved into…legs! Fish are the ancestors of amphibians, animals that live in both water and on land. Nearly all fish collect oxygen by sucking water through their mouths and passing it over their gills. Gills are specially developed organs made up of tissue with many folds. Having all of these folds allows for greater surface area in a smaller space. A lot of surface area is needed in order for the fish to extract oxygen which is dissolved in the water. A few species of fish, such as the lungfish, have adapted and evolved unique lung-like organs to actually breathe air! Check out the resources. Draw and label fish anatomy. Fish are cold-blooded, meaning their body temperature is regulated by their surroundings. 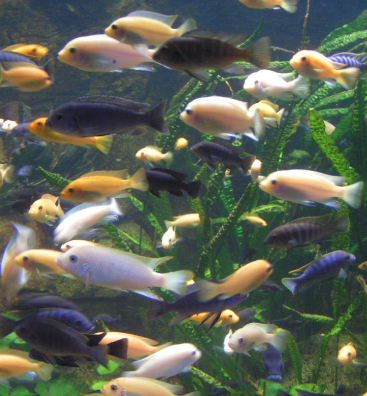 Fish are categorized as fresh water or saltwater (marine) based on their habitat. You can find freshwater fish in shallow wetlands, streams, rivers and lakes where salinity (salt content) is less than 0.05 percent. Some freshwater fish live in mild (24 degree Celsius) temperatures while others live in cold temperatures as low as 5-15 degrees. Standing or still freshwater in lakes, ponds and swamps is known as a *lentic system. Rivers, streams and springs or moving water are known as *lotic systems. Saltwater ecosystems cover over 70 percent of the earth’s surface and have between 3.1 percent and 3.8 percent salinity. You can find saltwater fish in frigid Antarctic and Artic as well as in warm, topical oceans. Saltwater habitats include coral reefs, slat ponds, mangroves, marshes and deep saltwater seas. 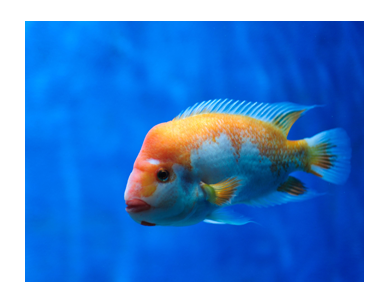 Make and label a poster that shows either freshwater fish in a freshwater habitat and/or saltwater fish in a saltwater habitat. There are over 30,000 known species of fish. Find local fish that swim in rivers, lakes or oceans near your home. 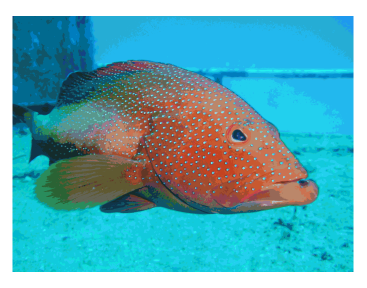 Draw at least five fish in color and label their distinguishing features. Nearly 1000 fish species are threatened with extinction. Find out if any of your local fish populations are extinct. Now that you have researched local fish, explore the globe for fish that fascinate. Research a fish that is unusual looking or does spectacular things (like have both eyes on the same side or is huge or really small with ferocious habits)! Research this fish. List details (with sources). Draw a picture and type a short paper of at least five paragraphs. Introduce your fish. Write about its habitat, habits, adaptations and curiosities. In addition to being fascinating animals, fish are an important food source for people and other animals all over the planet and have been for tens of thousands of years. Fish advisories tell people which fish are safe to eat and which fish are contaminated by heavy metals and other poisonous substances; unfortunately, birds, beavers, bears and other fish eating animals don’t read and are consuming these fish. How are fish being contaminated? In addition, world population has increased and its need for fish for food has increased as well. 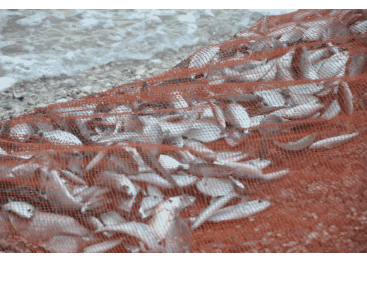 Large scale commercial fishing has begun to eliminate species of fish and cause damage with its fishing techniques to the fish eco systems. The tail of the fish is also known as the ____________fin. Salinity refers to __________ content in the water. Fish use _________ to breathe. Maya Lin's What is missing?